There are so many trainers and training methods out there that it is hard to know where to begin. 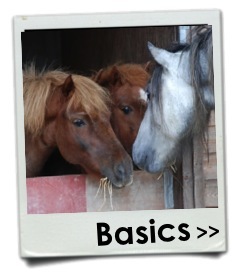 How on earth do you choose between everyone and make the best decision for you and your horse? A wrong decision can lead you unwittingly down a route of compromised welfare for your horse and perhaps damage the relationship you had hoped to improve. 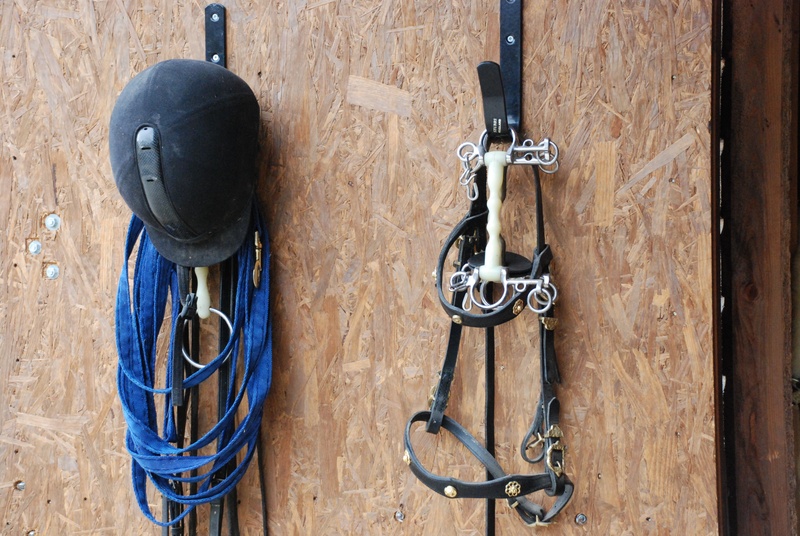 EBTA has made the decision not to promote specific trainers or provide a list of people to trust. Trainers change with their learning and experience and someone we rate one minute may later have an attack of the ego and allow the training to suffer accordingly. Similarly someone we may not rate currently may improve, unknown to us. Instead we have assembled a guide that should help you decide who to consider. We include useful pointers, questions to ask and answers to expect in response to those questions. If a trainer does not come up to these standards then we recommend that you find someone else. We warn you, however, that these standards are necessarily high and most trainers do not meet them. We strongly recommend that you study the subject of behaviour yourself and you may well find that you are better able to solve some of your problems independently. If that sounds a big responsibility then, yes, it is. We believe that our horses warrant this level of responsibility. 1. Look for someone who understands learning theory and, crucially, how to apply it in practice. While many trainers claim to understand and apply learning theory to their horse training, there is a lot of confusion and error amongst them. It is worth you having a basic understanding of operant conditioning as you will need it in your own interactions with horses (or dogs, children or spouse....!). You can ask what sort of rewards a trainer uses - anyone claiming that a release of pressure is a reward is incorrect. A release of pressure is negative reinforcement and therefore, by definition, not rewarding. A trainer who uses punishment should be aware of it and honest enough to admit to using punishment. When you observe a trainer, look at which behaviours are likely to be repeated in the future (i.e. being reinforced) and which are not (i.e. being punished or extinguished) - this should give you an idea of what forms of operant conditioning the trainer is using, despite what may be said. 2. 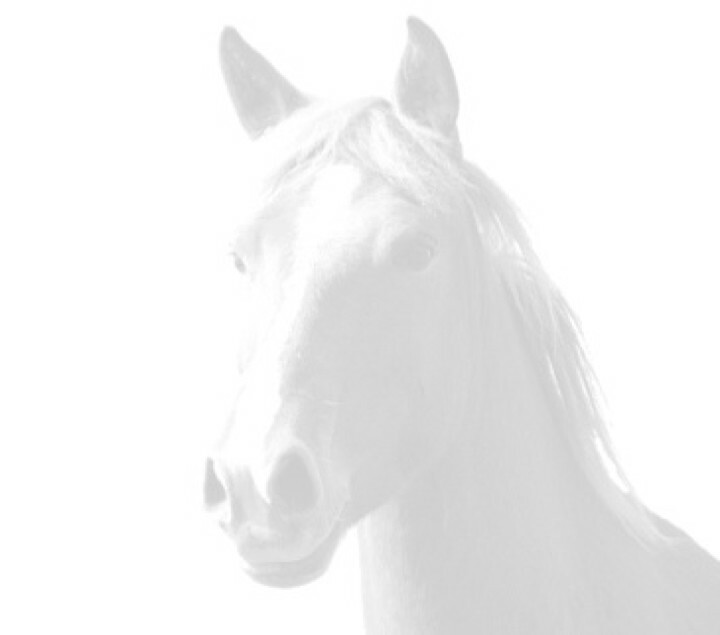 Look for someone who understands what horses perceive to be natural. 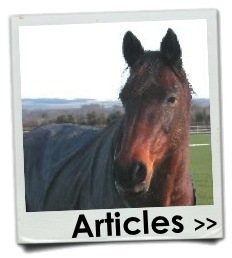 There are a lot of myths surrounding the subject of equine ethology, i.e. 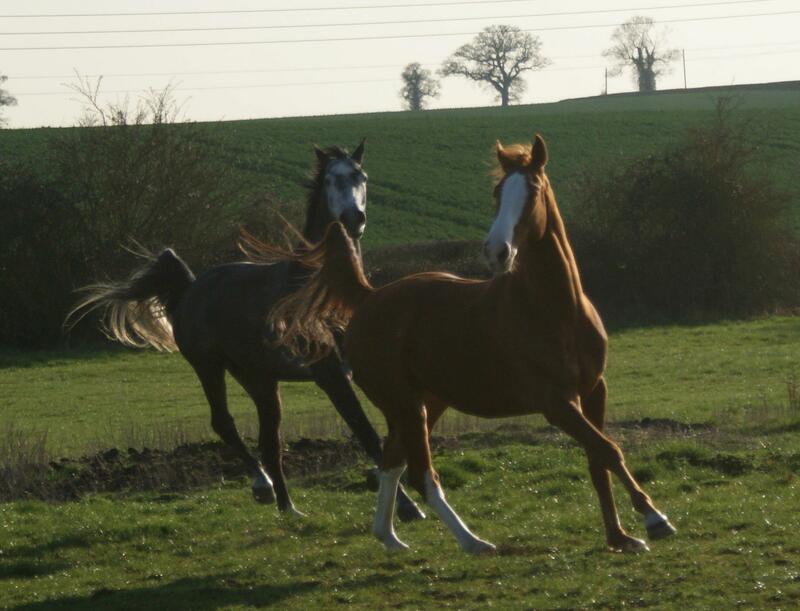 the natural behaviour of horses in their natural state, including the body language and physiology. The most common myth is the suggestion that the trainer needs to be the boss, the alpha mare in a "herd of two", the belief that if you are not the alpha mare then the horse will become the dominant partner. Be wary of anyone using this sort of language. Not only does such such an assertion make little sense in the context of learning theory, the whole premise is incorrect because horse society does not function in this way - even if the horse did see the human as a horse! 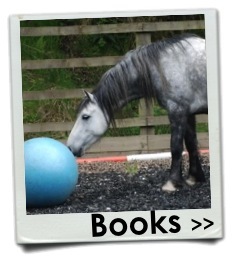 Herd structure is a big subject and we refer the reader to our books and articles sections for further reading. 3. Understand what horses see as force. Ever since it became ethically questionable to use physical force to elicit the desired behaviour from our horses, trainers have been finding more and more subtle ways to dominate horses. Psychological force can look physically very mild; there may not even be any physical contact. But horses are flight animals. They have evolved for 60 million years to run away from things which frighten them. So if a training system involves restricting the movement of a horse, or some other means of conveying the message that the horse cannot escape, then the horse will feel extremely threatened. Ask trainers why they resort to pressure if the horse appears frightened. Often the answer will be along the lines of "the horse put the pressure on himself". This response is unacceptable; the horse is being given a "choice" between physical pain and a significant emotional threat so cannot make a rational choice. 4. Look for integrity. Trainers use an appealing language - harmony, trust, relationship - which can convince you that their training is equally appealing to the horse. But a horse who follows the trainer, apparently through choice, may well have experienced high-pressure conditioning. An advanced horse working off incredibly light pressure may have gone through stages of high pressure in the early lessons. If a trainer claims to use shaping and small stretches in the comfort zone in order to create new behaviours but you feel that, in practice, the training is more akin to flooding then you are probably right. Ask why the training seems more harsh than you were led to believe and whether that is representative or normal. We can give the benefit of the doubt to a one-off, if a good reason is given but if there is a consistent mismatch between the talk and the actions then we recommend you walk away. 5. Watch out for euphemisms and jargon. It might sound benign but, when translated into learning theory, can actually be very forceful. You will often hear trainers talking about using the whip as "an extension of their arm" or "to back up their leg aids"; trainers will "get effective", "raise their energy" and use "training sticks". These are all means of delivering punishment, as defined by learning theory even if the trainer does deny it. Trainers who, either deliberately or unwittingly, use punishment disguised this way are arguably more of a concern than those who use it honestly and openly. 6. A trainer should use shaping in the smallest possible steps. Shaping is the incremental process of teaching a behaviour, using tiny increments and lots of reinforcement at each stage. If the horse is learning a new behaviour or re-learning an existing behaviour which is associated with some degree of fear then it is particularly important to move up each level slowly and only when the horse is genuinely happy with the previous stage. When the increments are too large or rushed then a trainer is in danger of flooding the horse. Challenge a trainer who claims to use shaping but then moves through the shaping program in a way which you feel is too quick. You are probably right. Beware of the trainer who says that it is better to overcome the fear quickly so as to be able to reward the desired response. The horse will feel flooded, not rewarded; correct shaping will give many opportunities to reward intermediate desired responses. 7. 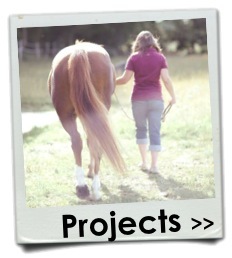 A trainer should consider the whole horse before jumping in with a favoured method and/or focus on the problem. Horses are all individuals and if you feel that the trainer had decided on a course of action almost before seeing the horse then be careful. 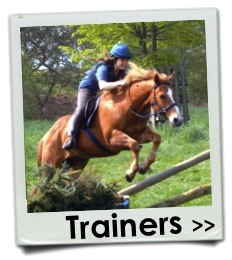 No training method is suitable for all horses and some training methods are not suitable for any. This applies equally to the so-called positive methods, such as clicker training. It is not always appropriate. 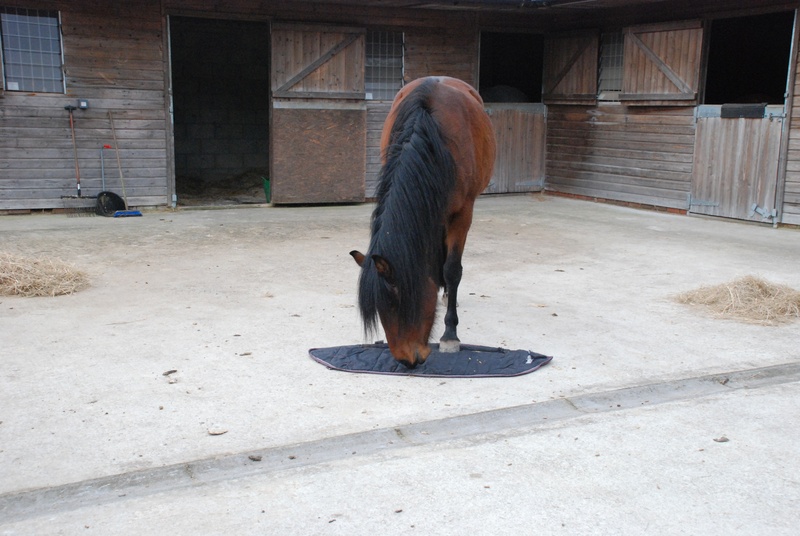 The horse, his environment and potential reasons for his behaviours should be assessed before embarking on any training. 8. Look for someone who puts the horse first, not the agenda. Horse training takes time and a good trainer will recognise this. 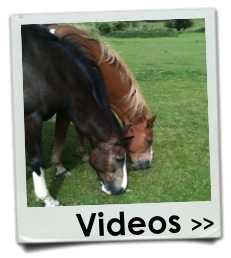 Some "behavioural problems" will have been present for years; a horse will not overcome all his fears in an instant. If you feel the trainer is making unrealistic promises then you are probably right. The trainer will also have the courage to meet the horse's ethological, behavioural and emotional needs, sometimes risking upsetting the owner (although shaping should be used with the owner as much as the horse). Likewise, the trainer will not blame the horse for the owner's errors or fears; too many trainers will highlight the owner's mistakes but still use punishing techniques on the horse or expect the horse to change his behaviour to compensate for the owner. 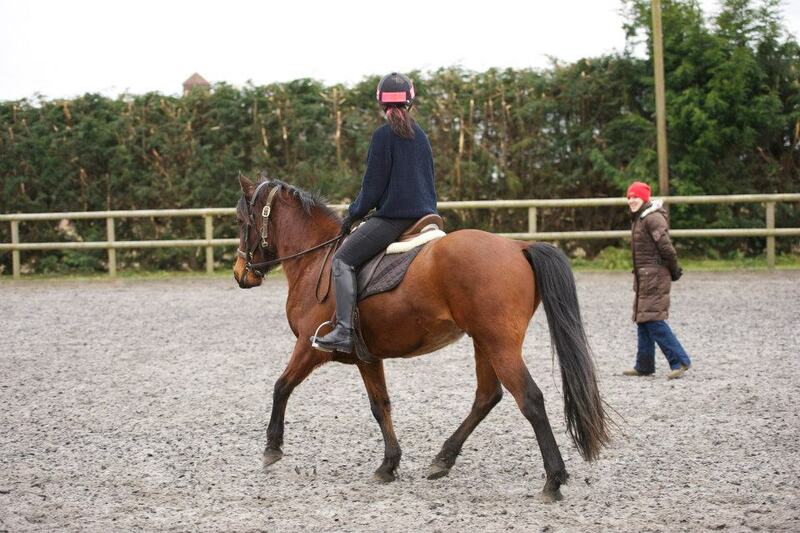 It may be harder for the owner in the short-term but will ultimately benefit both horse and human. 9. Beware of ABC-style methods. Some training methods are applied to all horses almost identically. Again, all horses are individuals and will require their own, unique training programs with appropriately-chosen shaping steps. If a method appears not to have, for example, "a section on riding" then it is not necessarily a bad thing. A thorough understanding of learning theory and its practical application will help you to see how to apply different elements of training. 10. Beware of anyone telling you to buy lots of kit. There is rarely any need to buy anything in order to apply knowledge-based understanding of behaviour to a practical situation. In fact, a lot of people will prefer to work with the horse at liberty (right from the start of training) so as to reduce the chance of the horse giving responses that are conditioned to certain pieces of equipment.